[S11] John J. Weidner, Compiled Birth, Death, 627 August is underlined. 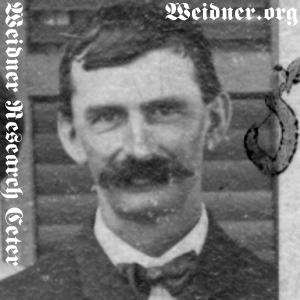 [S11] John J. Weidner, Compiled Birth, Death, 627 full date. [S153] Arlington Heights Herald, 20 Sep 1956, p. 16, col. 2, date and location. [S153] Arlington Heights Herald, 20 Sep 1956, p. 16, col. 2. [S8] Edwin Weidner, The Weidner History, 7 death year only.